SkyDrive Privacy refers to securing your documents and photos in a way that they do not fall into the hands of unauthorized people. There are different options in SkyDrive that you can use to set up privacy for your files. This article discusses those options. SkyDrive privacy options take care of your files on SkyDrive. In addition to default encryption so that no one can view your files and documents without your consent, there are some options that you can use to secure your files further. By securing your files on SkyDrive, I mean how you use the available options so that others can or cannot view the files at all. 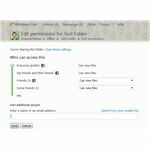 Other options include sharing the files with specific people, a certain set of people (example - your friends, or friends of friends), or with everyone. Though there is no way people can access your file or folder on SkyDrive, without you sending them the link to the folder or file, you may send the link to everyone by mistake. If you do this without the intention that everyone who got the link should view the folder or file, your SkyDrive privacy settings for the folder will see to it that unauthorized people don’t get access. Let us talk about these SkyDrive privacy settings in detail so that you know: 1) how to view the permissions and 2) how to change these permissions. SkyDrive privacy, by default, is set using four folders. 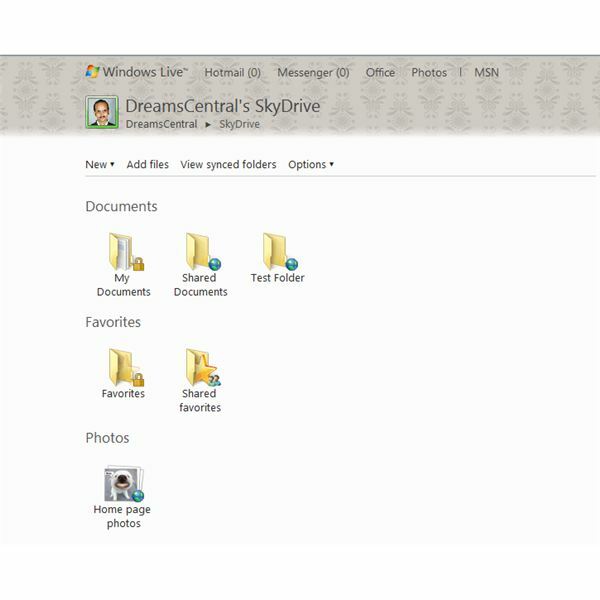 When you login into skydrive.live.com, you can find these folders: Shared Documents, Shared Favorites, My Documents, and Favorites. The privacy of SkyDrive folders - My Documents and Favorites - is set to "me" only. This means that unless you specify a different share setting, only you can view the folders and files contained in these folders. For Shared Documents and Shared Favorites, the default setting is set to "view only," and "Shared with Everyone." For any folder that you create in the SkyDrive root folder, the default SkyDrive privacy setting would be "shared with Everyone" and "view only." 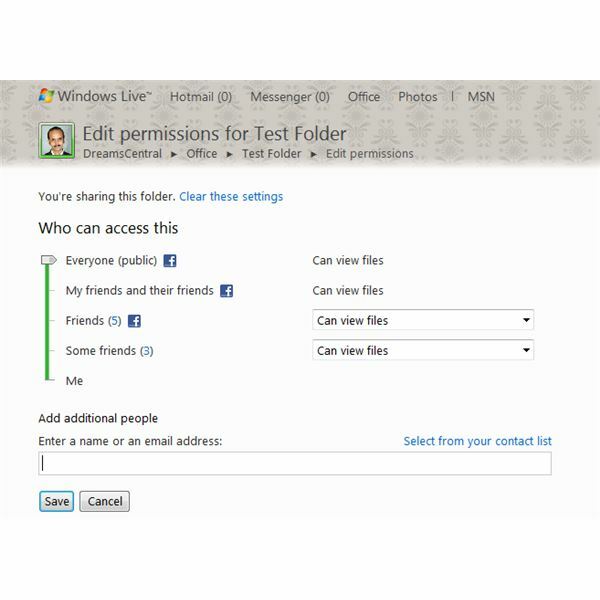 For folders that you create inside other folders, the default folder sharing option would be inherited from the parent folder. This means that if you create a folder inside Shared Documents, its SkyDrive privacy settings would be "everyone" and "view only" unless you have changed the privacy setting for Shared Documents. You can always change the folder share options for these and other folders that you create in SkyDrive root. There are two methods to view the SkyDrive Privacy for folders in the root. To view the SkyDrive privacy setting for any folder, hover your mouse pointer on that folder. You will be shown the "share setting" along with the "folder name" and "date last modified." Another method to view the privacy settings is to click on the link named "Office," found on the top of your SkyDrive page. This arranges the folders on SkyDrive into groups and shows you how they are shared - Only Me, Everyone, Some Friends, Friends, or Friends of Friends. You can return to normal view by clicking on "View All." The privacy settings for subfolders and files inside a folder are the same as that of the folder. Please view the note at the end of the article to understand how it works. Click on the folder so that it opens and shows you the contents of the folder. Click on "Share" on the top of the files list. Click again on "Edit Permissions." This will give you a slider so that you can adjust the privacy settings. You can also enter your friends' email addresses so that only those people can view the folder. 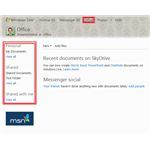 Alternatively, you can choose from contact book related to your Windows Live account. Click on "Save" once you are done. 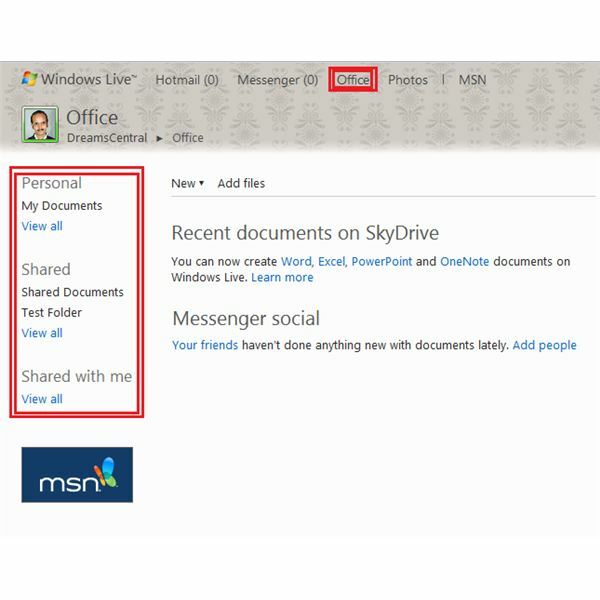 Note: The SkyDrive privacy settings for files or subfolders in a folder are inherited from the privacy settings of the parent folder. For example, if you set the permission for Shared Documents to "Friends" the privacy settings for the contents of that folder (including the subfolders) is also set to "Friends." You cannot change the SkyDrive privacy settings - to something different - for the files and subfolders inside the parent folder.